ADJUNTAS, PUERTO RICO - It was finally a night to celebrate in this village tucked into the mountains of central Puerto Rico. 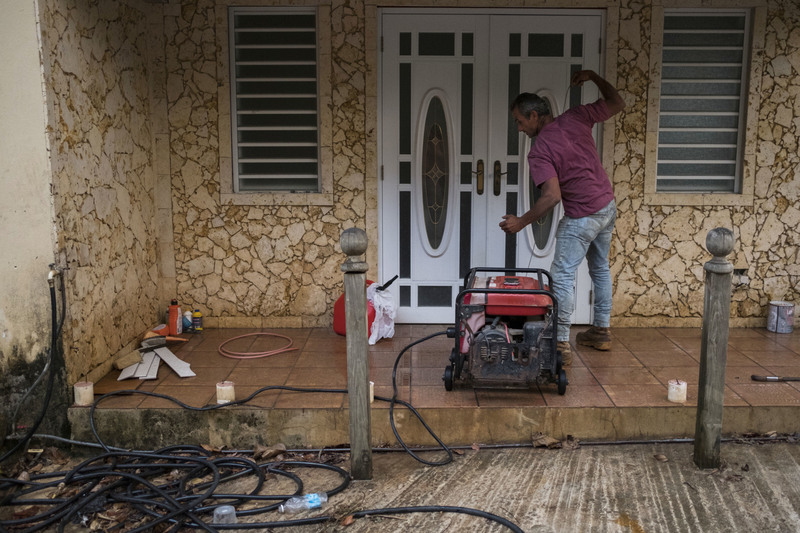 People pressed TV remote buttons, clicked on fans and plugged in refrigerators as electricity again flowed into homes that had been without power since two major hurricanes devastated the U.S. territory 10 months ago. 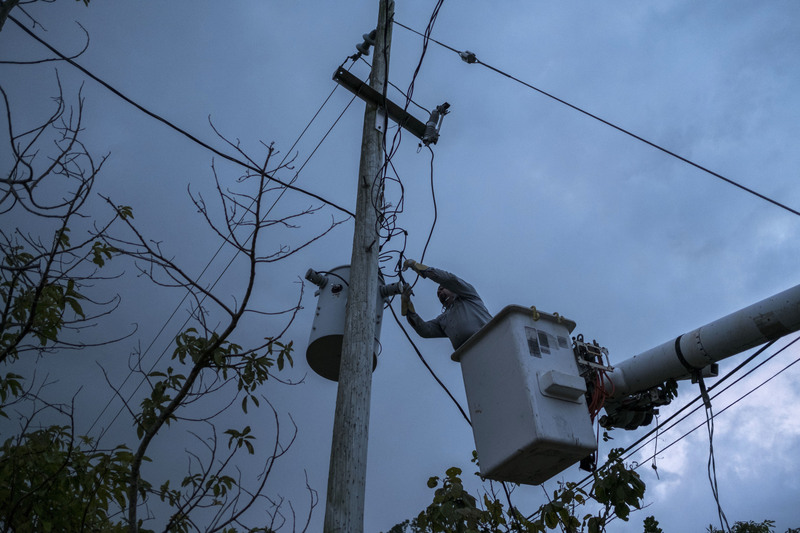 It is slow work, and it has stretched nearly two months past the date when officials had promised that everyone in Puerto Rico would be reconnected. “If another storm comes through, we’re going to die. 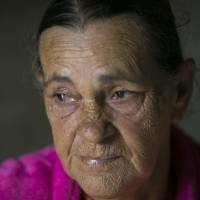 There’s no money left here,” said 66-year-old Marta Bermudez, who still has a blue tarp over her rusting zinc roof. She doesn’t believe the government has enough resources to properly rebuild the power grid as it continues to battle an 11-year recession. 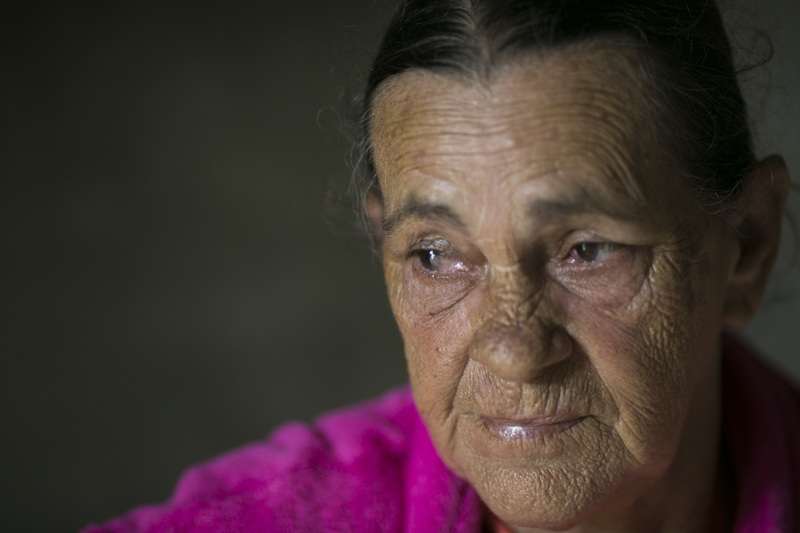 Still, after power was restored to her house on Friday, she celebrated no longer having to eat a diet of mostly rice, bananas and soup, or wash clothes by hand in a sink that she and her husband found on the street after Hurricane Irma. 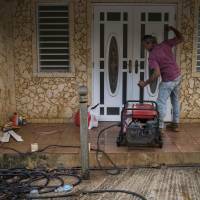 The only power they had for 10 months was courtesy of a neighbor who threw over a thin yellow extension cord connected to his generator. 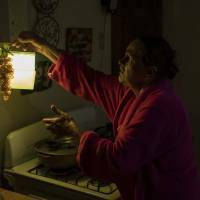 It provided just enough power to light one bulb in her kitchen and another in her living room for a couple of hours each day. 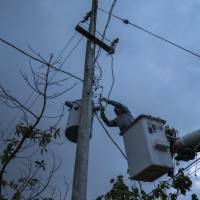 More than 52,000 electricity poles have been installed and thousands of miles of cable secured, with some 180 generators still providing power at key locations. But Gov. 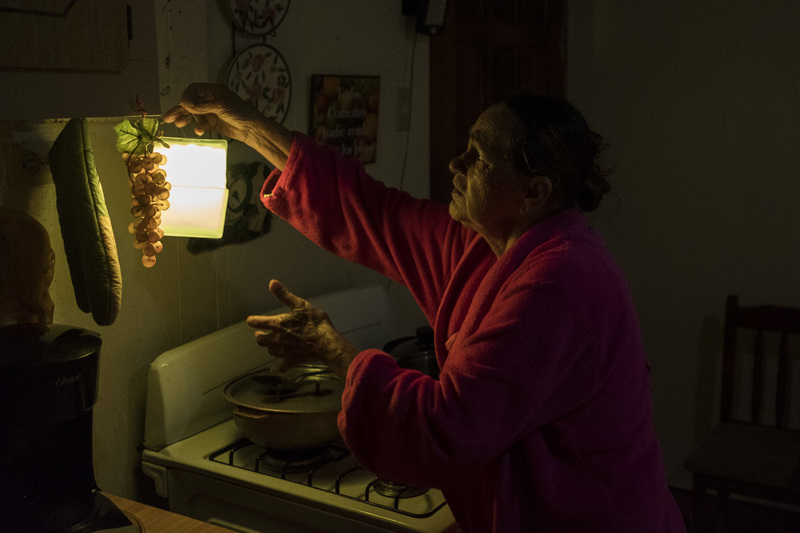 Ricardo Rossello warns that there is no backup system yet in case the power goes out again, which it did for up to 47,000 customers when the remnants of what was once Tropical Storm Beryl lashed Puerto Rico with rain and wind in early July. The changes at the power company, which include the resignation of five board members last Thursday after the governor criticized a $750,000 salary for the newest CEO, are not a surprise to Juan Rosario, the board’s former consumer representative. He hasn’t had power since Hurricane Irma, and burned through more than 200 candles until a group of volunteers gave him solar lamps this past Tuesday after navigating their way up a steep road filled with deep holes.